Donuts and sour beer (with edible glitter)? YES. It seemed like a typical Saturday in Rosedale, MD except for the line of patrons down the block waiting to get into DuClaw Brewing before noon. Oh, and did I mention that they were decked out in their finest unicorn gear? When DuClaw Brewing Co & Diablo Doughnuts announced earlier this year that they were collaborating on a beer, the internet went crazy. DuClaw was promising things that we had only dreamed of! 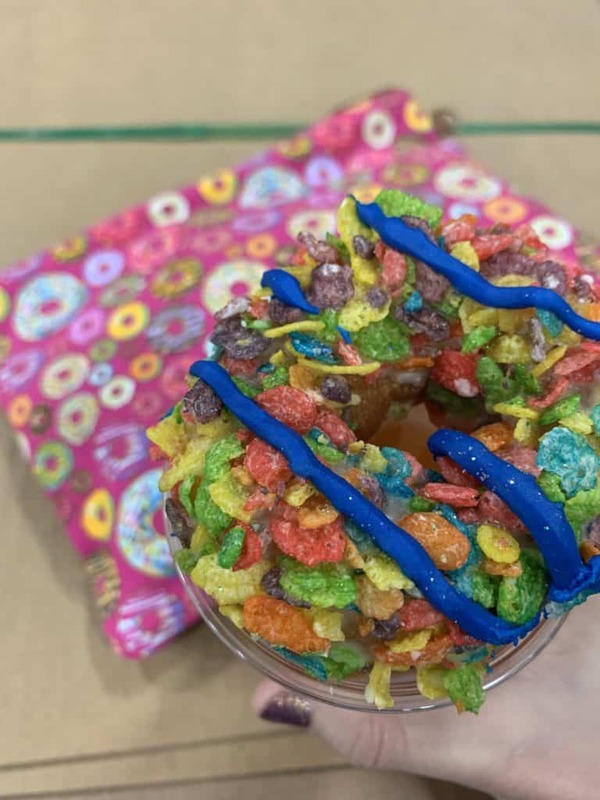 Fruity pebbles doughnut flavored sour beer with edible glitter in a super cute can? YES PLEASE! Even Thrillist lost their mind over the announcement. 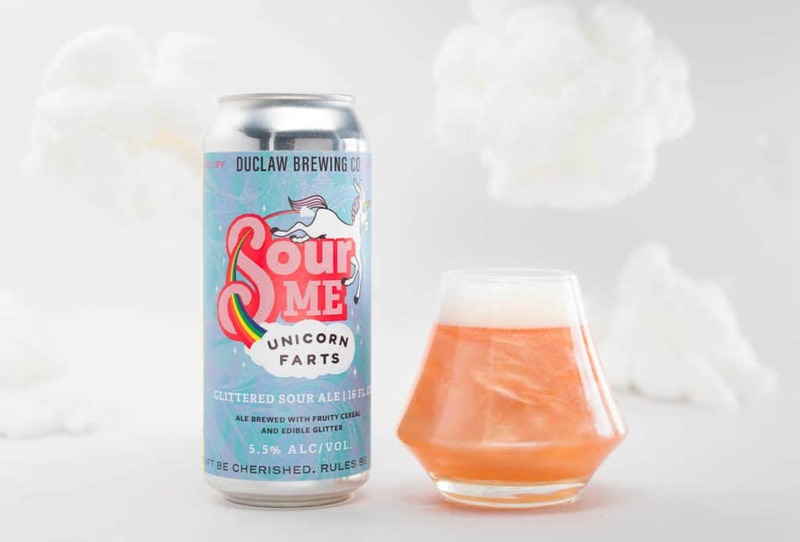 DuClaw Brewing Co.’s Unicorn Farts sour ale sparkles with edible glitter. As a sour beer fan and a long time doughnut lover (ESPECIALLY Diablo Doughnuts), I knew that I had to be one of the first to taste this beer. So I marked the calendar and waited patiently for the day to arrive. Wearing only my finest unicorn gear (a dabbing rainbow unicorn tank top and unicorn horn headband), I arrived with my husband at DuClaw just as the doors opened. We quickly learned that the line we were standing in snaked through the entrance into the tap room, past the barrels, and all the way to the back of the brewery. Apparently diehard fans had lining up as early as 9 a.m. to get the first taste of Unicorn Farts. 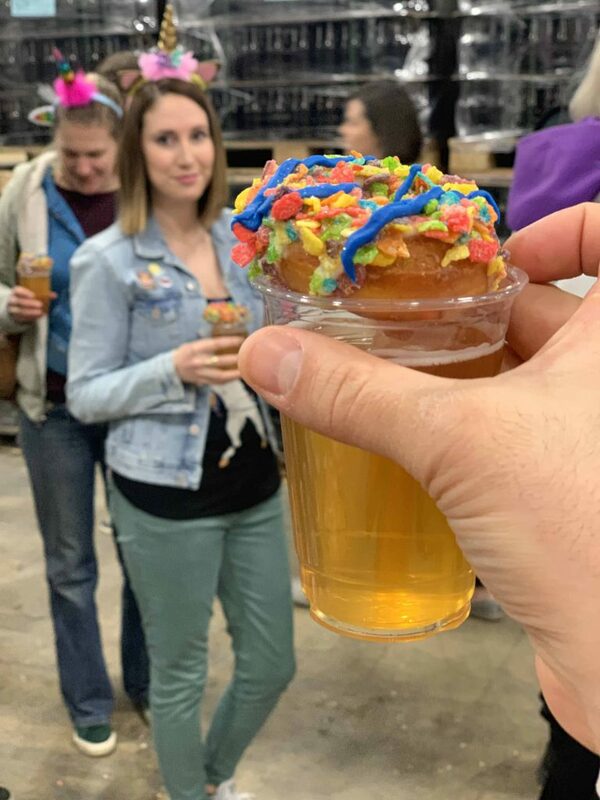 Thankfully the line moved quickly and we were able to grab a beer from the taproom to sip on while we waited in line for the doughnut pairing. 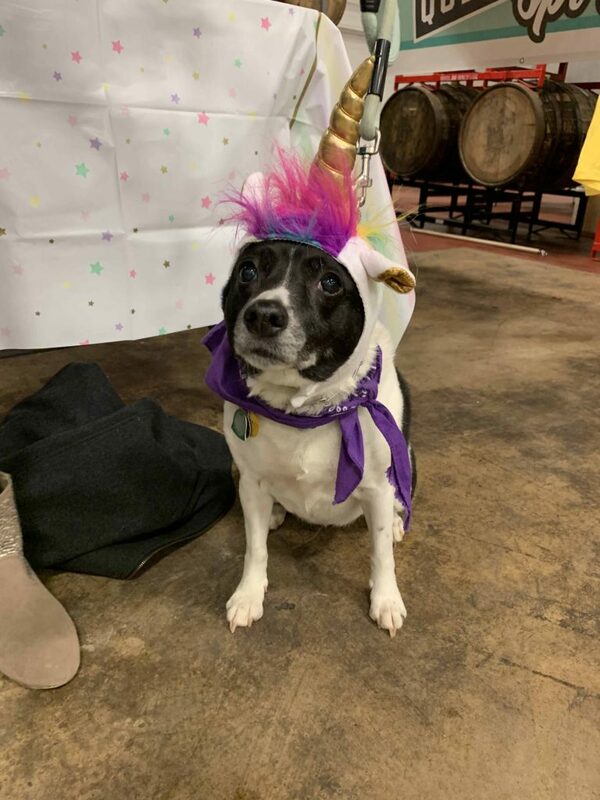 There was no shortage of dogs in costumes, unicorn onesies and glitter as far as the eye could see. So many people came ready to live their best unicorn lives and we were there for it! 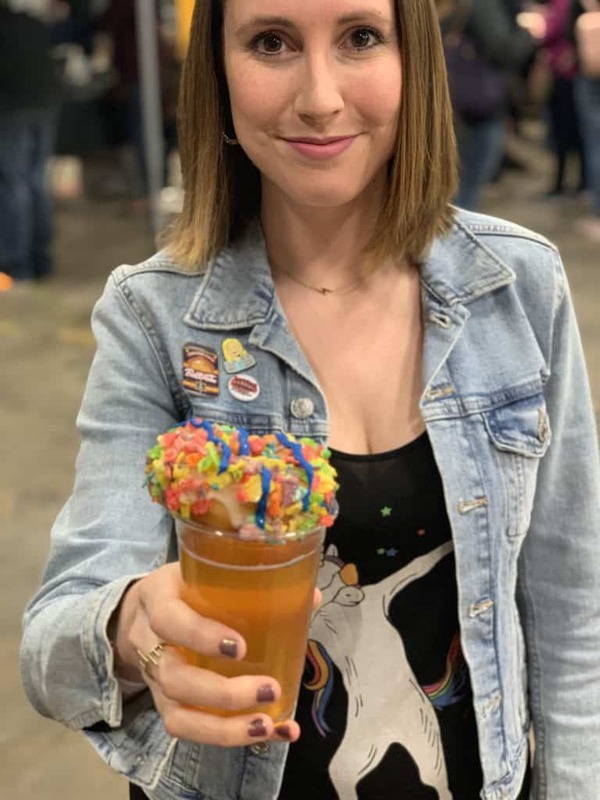 The highlight of the day was being handed a glass of Unicorn Farts beer with a Unicorn Farts doughnut on top. The beer was DELICIOUS and the fact that it sparkled every time I took a sip made my heart happy. However, the beer WITH the doughnut was the best combination and one that I think my husband can support. Doughnuts + Beer equals the #Brewlyweds perfect combination. DuClaw and Diablo stack up. 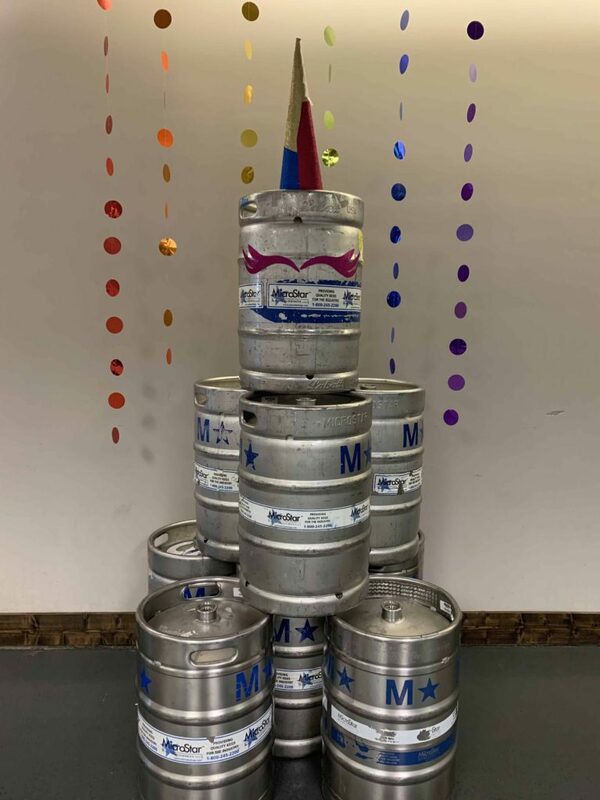 From the unicorn farts balloon installation by Jess Albins Events to the unicorn made from kegs and the rainbow floor created by crushed fruity pebbles (something tells me that wasn’t part of the décor plan…), the event was a success. Also, a portion of the proceeds went to The Pride Center of Maryland. Megan DeMillo is a twentysomething-year-old lifestyle blogger at Meggy D in the Middle. Special Event Planner, newlywed, puppy mama and donut aficionado, she is navigating the weird stretch of time after the wedding and before babies, while soaking up time with her husband, Chris. Follow along as she Sips and Savors her way around Howard and Montgomery County trying one sour beer at a time.